My Gram loved to order crab cakes when we would go out to eat. Actually, it's probably more accurate to say that she loved to order crab cakes and then point out the shortcomings of the recipe used to make them. I always just shrugged and nodded, yes, too much filling, yes, there should be peppers in here, no, I don't like the seasoning in it either. She was never totally satisfied with the crab cakes served to her, and until I made her recipe, I never fully understood why. 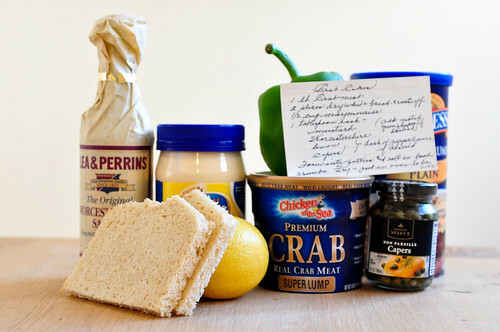 My gram's crab cake recipe is awesome. A short list of ingredients, no overpowering spices, fast and simple to make, easy to freeze and just as good when thawed a week later for a lazy dinner. I could pile more praise on these things, but it's probably best that you just make them and see for yourself. *She doesn't have it written down, but she wants you to drop these in a food processor and make your own breadcrumbs. 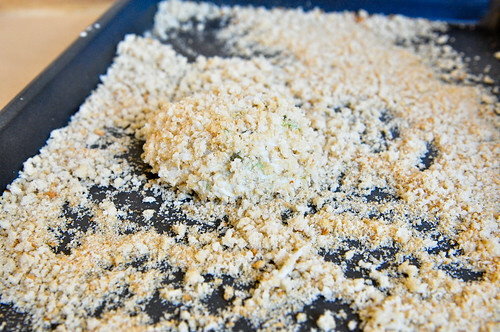 I did this the first time I made the crab cakes, and still had to supplement with extra breadcrumbs. The 2nd time, I just used the plain store bought bread crumbs, because I rarely have white bread around. Unless you have the bread laying around begging to be used up, just use store bought; it's easier and the difference is very minor. 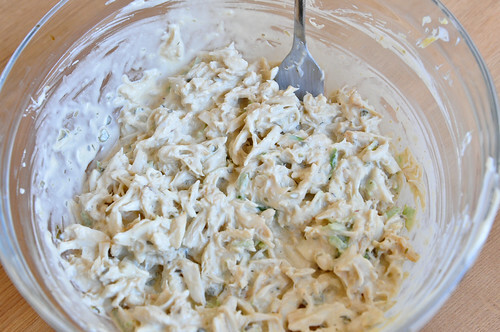 Mix together all ingredients, except for the bread crumbs. 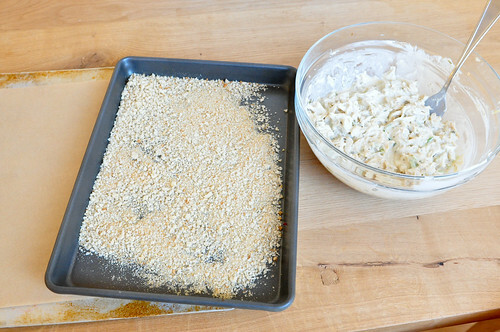 Spread breadcrumbs on a plate or tray. 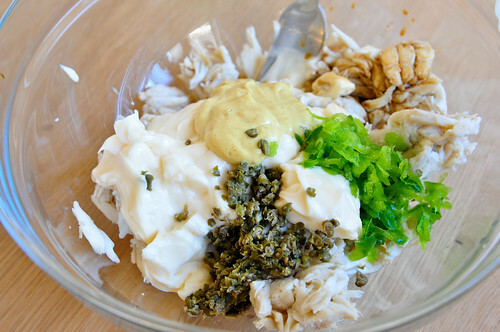 Form the crab mixture into patties and roll in breadcrumbs. Set aside. 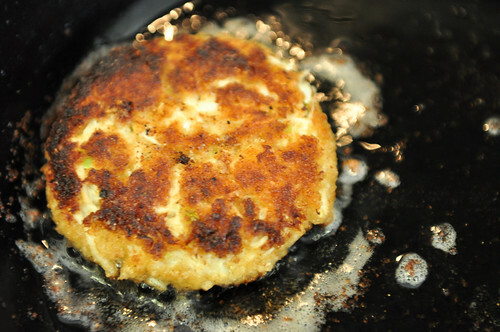 If you're going to freeze some of the crab cakes, now is the time to wrap them up and put them in the freezer. 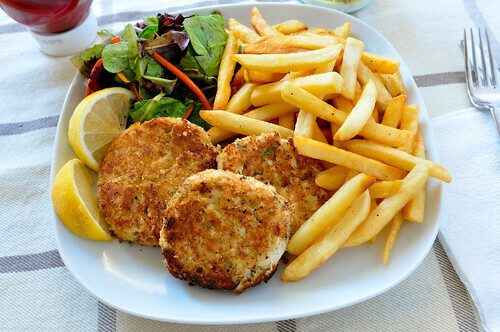 Fry the crab cakes in hot oil until golden brown, approximately 2 minutes on each side. Set aside on a paper towel and allow oil to drain. 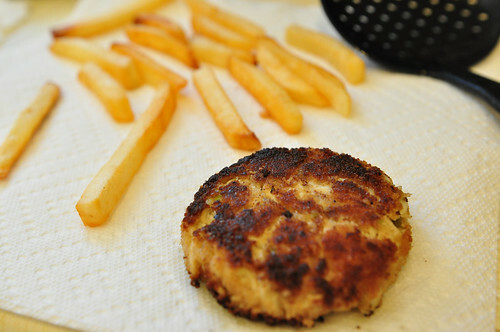 To keep the crab cakes warm while you fry the whole batch, place them in a warm oven until ready to serve. Pro tip: If you have a Costco membership, stock up on crab meat there. I'm thinking of making my 3rd batch of these later this afternoon. Oh no! 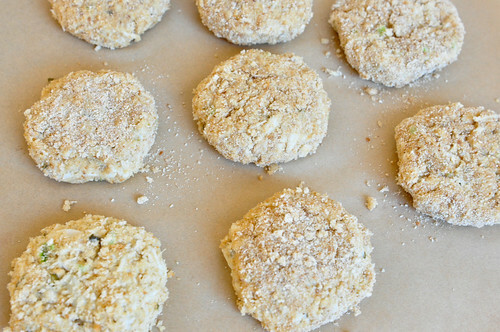 I'm so sorry to hear that they didn't work out for you :( I just used plain store brand bread crumbs for mine, but I tried to really coat the patties with them, and pack the crab meat together when I make the patties. They're definitely a bit finicky when you put then in the oil, since there isn't a ton of stuff binding them together, so they need to be handled a bit gently until they begin to crisp up in the hot oil, so they don't break in half. If they got oil-logged and mushy, maybe the oil wasn't quite got enough when you put them in the pan? If you try them again, maybe coat them in 2x as many bread crumbs, and really pat the cakes together before putting them in the oil. Sorry again that they didn't turn out properly! I had so much hope for these, but they ended up looking like crab hash browns. I could not keep them in patties to save my life. I will try again because the flavor was soooo delicious! Thanks for the recipe..
Wow, those look so good! I'm gonna brave them next time I go to Costco. 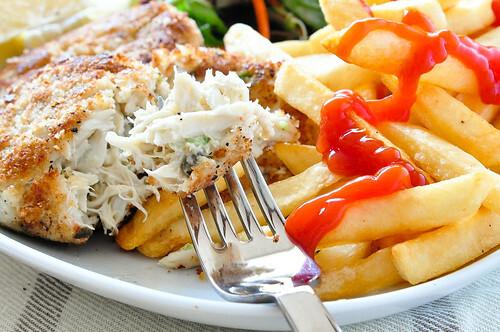 I really do love their lump crabmeat. There's also another recipe where lobster meat is mixed with mashed potatoes.